See some of the Bible's greatest stories through pixel-shaded lenses in this full NIRV Bible with coloured inserts. Do you ever feel like it's more fun to exist in the computer world than the real one? Is that the only place you can control your destiny? Well, God is the original great world builder, and he gave us the power and the skills we need to make changes in the real world. The Minecrafter's Bible, NIrV contains the full text of the New International Reader's Version (NIrV) of the Bible (from Genesis to Revelation) as well as 24 color tip-in pages featuring full-colour illustrations in the style of wildly popular virtual-world-building games. Featured stories include the days of creation and great builds of the Bible. Minecrafters Bible, NIrV by Zondervan was published by Zondervan in July 2016 and is our 18516th best seller. The ISBN for Minecrafters Bible, NIrV is 9780310754978. 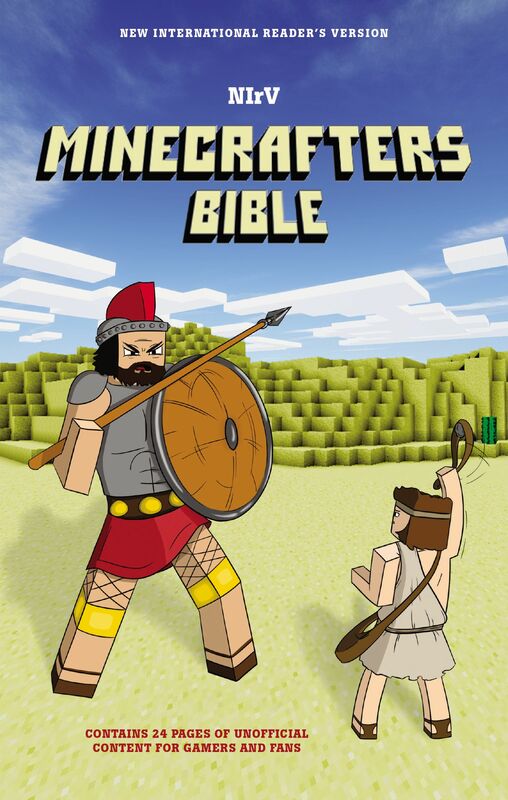 Be the first to review Minecrafters Bible, NIrV! Got a question? No problem! Just click here to ask us about Minecrafters Bible, NIrV.